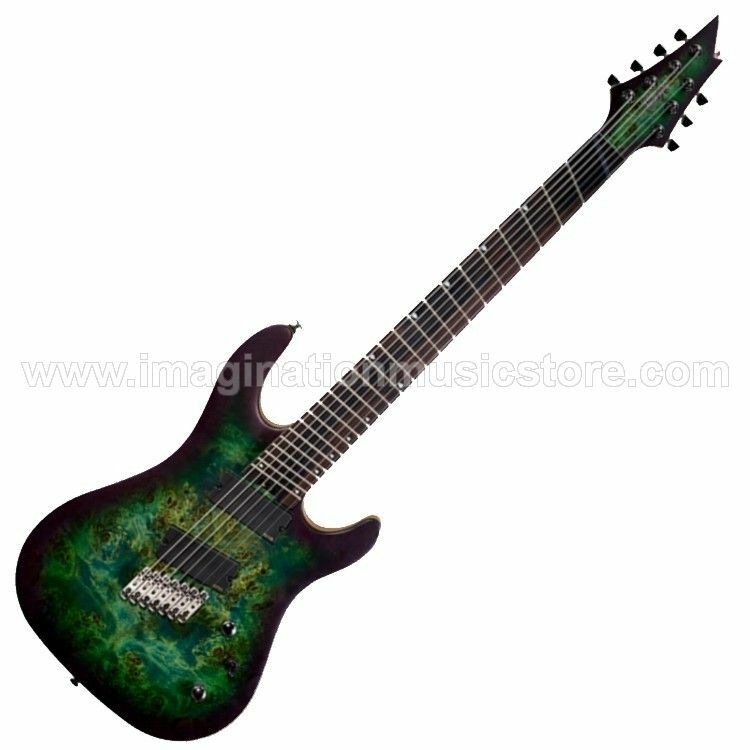 The top-of-the-line of the KX Series, the KX500MS ups the ante with its 648~685mm(25.5~27") multi-scale neck and EMG 707 Soapbar humbuckers mounted at an angle. Featuring boutique-level materials like Poplar Burl on Swamp Ash body, 5pcs Maple and Purple Heart neck and Macassar Ebony fretboard and individual bridge for each string, the KX500MS can go from over-the-top brutal to a sweet purr to cover a wide range of musical styles and genres. The multi-scale construction produces a more defined, punchier, tighter and deeper low end – especially on the low-B and low-E strings. The strikingly figured Poplar Burl top and Swamp Ash complement each other perfectly to produce a warm yet punchy high-midrange sound that will cut through the mix with authority. The EMG 707 has established itself as a trend-setting industry standard for 7-string electric guitars. Loud, clear, articulate, sensitive and powerful, the EMG 707 can do it all. Very similar to Rosewood in both looks and sound, the Macassar Ebony produces a deep rich sound with sweet yet cutting highs. The new “Raindrop” fingerboard inlay designed specifically for this model provides a distinctive look. Locking machine heads provide excellent tuning stability and facilitate quick string changes.